Well, I’m still taking a break from my “Stories” comic and I ended up producing another five “Damania” comics within the past day. I don’t know how long I’ll be able to keep it up at this kind of pace though – still, it seems to be going well at the moment. 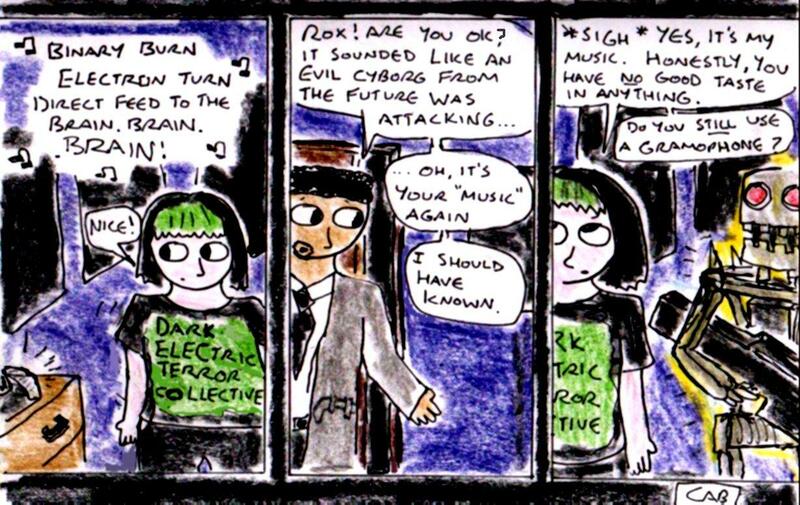 Anyway, as usual, these five comics are released under a Creative Commons BY-NC-ND Licence. I’ve mentioned this subject before in my article about dealing with creative blocks, but I thought that it deserved an article of it’s own. This might not work for everyone, but it can be extremely useful to have at least a couple of creative projects on the go at any one time. In fact, a couple – two – is probably the perfect number, since it’s manageable enough for you to either work on each project equally or to have one porject as your main project and keep the other as a “backup” in case you have writer’s block. For example: I’m writing articles and reviews for this blog and also producing either a comic project or an art project (at the time of writing this article, I’ve returned to making “Damania” comics for a while). The two are reasonably equal in terms of the amount of effort that I put into them, but I usually tend to lean slightly more towards making comics than writing articles. Still, they often compliment each other quite well. One important thing to remember is that the two projects should be reasonable different from each other and, ideally, should involve totally different forms of creativity. The reason why this is so important is that different forms of creativity often have a different “feel” to them (this is the best way I can think to express it). They involve different emotions, different techniques and a different state of mind. Ideally one of these projects should be something which feels a lot more spontaneous and less rigidly-structured. It should probably be more abstract, musical or visual too. I’m not sure exactly why this works so well, but it might have something to do with the fact that each side of the brain tends to process different things – the left side of the brain processes things like words and numbers, whereas the right side of the brain processes things like sounds and images. I didn’t come here for a science lecture which is probably riddled with errors! Your mind is wandering! Ok, good. But, if you have multiple projects, won’t you spread yourself too thinly, so to speak? There’s a lot to be said for single-mindedly focusing on one project and there are certainly times when it’s the best thing to do. However, I believe that having multiple projects is more useful most of the time anyway – for the simple reason that it allows you time to “recharge”. Since, if you’re working on just one project and you start to feel blocked and uninspired – then you can either try to keep going with it or leave it for a while (both approaches have their merits). However, if you have a second creative project going, then you can move over to that for a while until you feel refreshed enough to go back to your original project. This has all the benefits of just taking a break, but it also means that you’ve made something else in the meantime (which is especially useful if you’re either on a schedule or have set yourself a schedule). But, if you’re feeling really exhausted and/or burnt-out creatively – then just taking a proper break is far more useful than working on your second project. Plus, you don’t have to focus on both projects equally either – if one feels more compelling, then focus on it more than the other one for a while. For example: when I get writer’s block on here, I usually tend to throw myself into working on my comics (and just post filler posts here) and vice versa if I’m feeling uninspired with my comics. But I’m only interested in/talented at one type of creativity. I’m just a writer/artist/musician/sculptor/poet/programmer [delete as appropriate] and nothing else! If you’re only really drawn to one form of creativity (and learning/practicing another form of creativity can be a worthwhile project in and of itself) then just make sure that your two projects are fairly different, but still use the same type of creativity. For example: If you’re a writer, then possibly work on a non-fiction project and a fiction project. Or if you’re an artist, then possibly work on both conventional drawings/paintings but also work on comics too. Why must they be different anyway? For the simple reason that, to use an old saying, variety is the spice of life. Not to mention that, if they’re too similar then – if you have a creative block with one of them, then you’re more likely to feel blocked with the other one too. As I said at the beginning of this article, this approach isn’t for everyone – but it might be worth trying nonetheless. However, if it feels too exhausting, then just switch back to focusing on one project. Basically, just do whatever works for you. 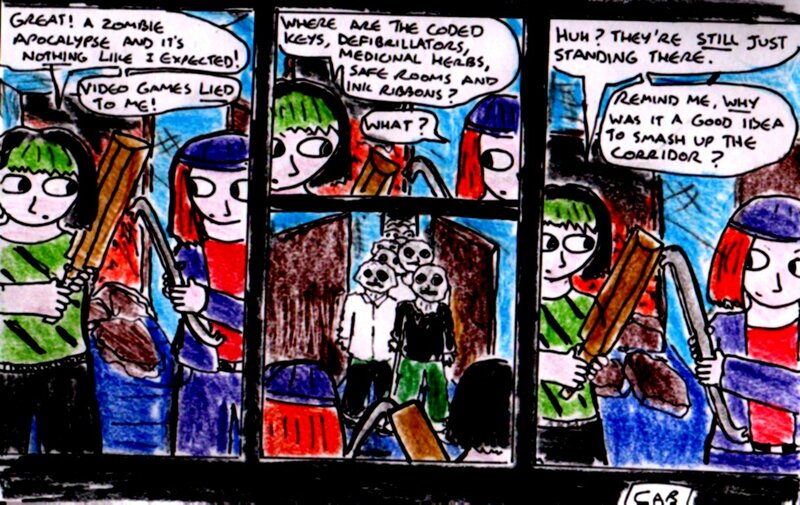 Well, I seem to have gone back to making “Damania” comics for longer than I thought. I don’t know how long I’m going to keep this up (probably until I think of some good ideas for the second volume of my “Stories” Comic). Anyway, I ended up producing five “Damania” comics within the past day, which kind of surprised me (since I thought I’d only make three or four of them). 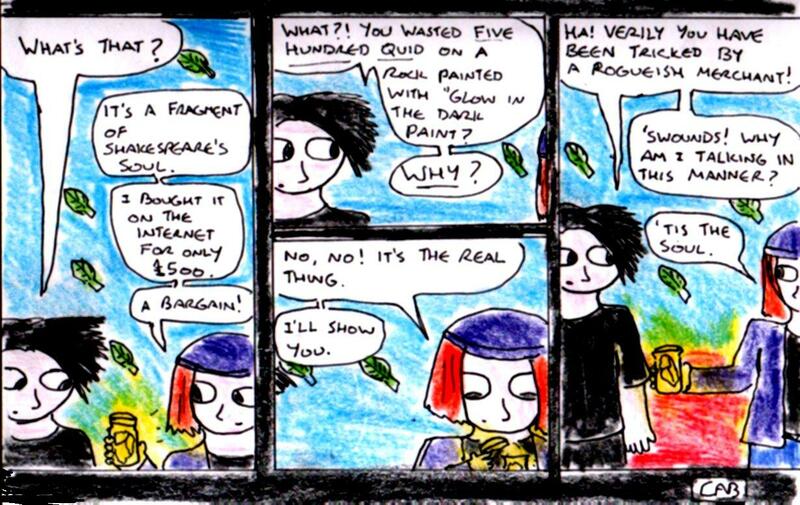 They all turned out really well too (although the art in “Damania – Shakespeare” was kind of rushed). As usual, these five comics are released under a Creative Commons BY-NC-ND Licence. 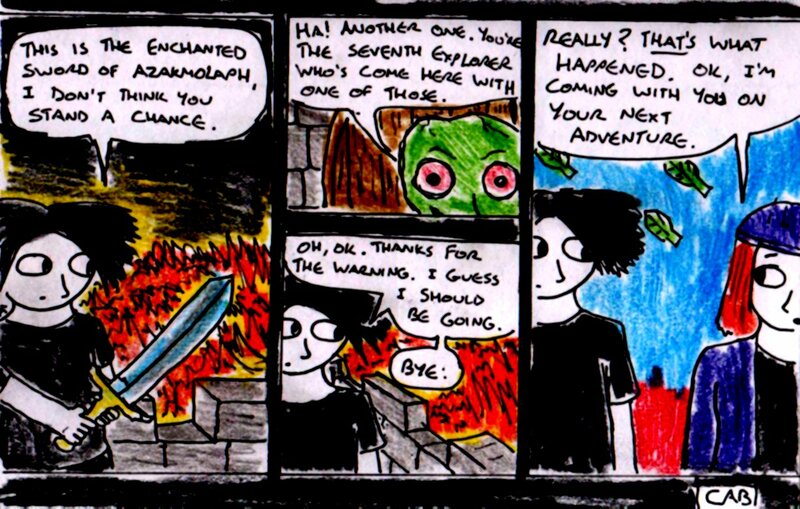 Although I posted my first webcomic online back in 2010 (it was one called “Yametry Run” which ran for 105 comic strips – and the art is absolutely terrible by my current standards LOL! 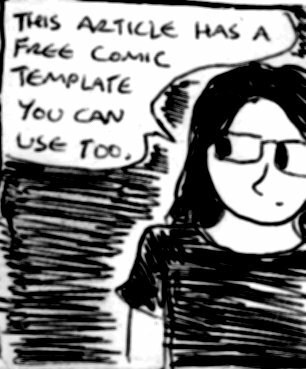 ), I’d wanted to write, draw and post a webcomic for at least a year or two before that. Why didn’t I? Simple. I didn’t have enough experience (both reading and drawing comics), practice or good enough ideas. 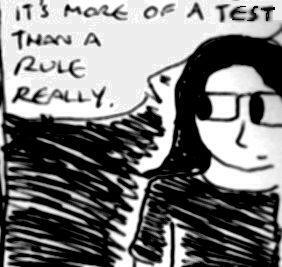 It’s not that I didn’t try writing webcomics before then (in fact, I’d tried to make at least two webcomics in 2008-9), but I’d either come up with or found a very simple rule which allowed me to test whether my webcomic idea would be worth following or not. This rule works and it is well worth following. It only really applies to your first webcomic (since, after you’ve had some experience, you’ll know whether an idea is worth following or not… most of the time anyway) but it’s essential if you’re thinking about getting into webcomics or are about to start your first webcomic. It may sound like a strange rule, but it’s extremely useful for a couple of reasons. Firstly, it allows you to see whether you’re really ready to start a webcomic – if you can’t come up with ideas for ten pages before you publish anything, then how are you going to come up with a new page every day/week/fortnight etc…? It also allows you to see what kind of work is involved in making a webcomic and to see whether you’re really in it for the art or whether you’re interested in it just because it’s “cool” (and it is cool), without the embarassment of leaving an extremely short unfinished webcomic on the internet. Following this rule is also useful for your first webcomic because it provides you with a “reserve” of comic strips which can be useful when you’re less experienced and can’t make comic strips as quickly as you probably will be able to do with practice. Since you’ll already have ten days or ten weeks worth of material to upload – it’ll take some of the pressure off of you. 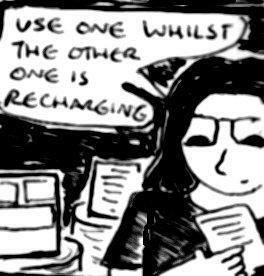 Whilst I don’t generally use a reserve of comics these days, it was incredibly useful to use one back in 2010 (likewise with a reserve of drawings when I got back into art in 2012 too) and, if you’re just beginning to make webcomics – then it’s an aboslutely invaluable thing to have. I’ve tried following this rule, but I can’t get up to ten pages – what should I do? 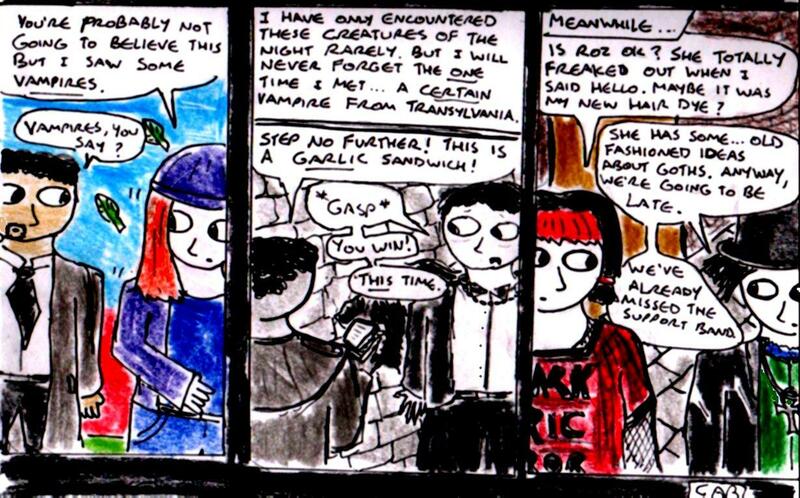 1) Try a different style of webcomic: The unpublished and short-lived webcomics I tried to write and draw back in 2008/9 were all newspaper-style stand-alone comedy comics. I found these quite difficult to write at the time, since I had to think of a new joke for every comic and I wasn’t really good enough at this back then. 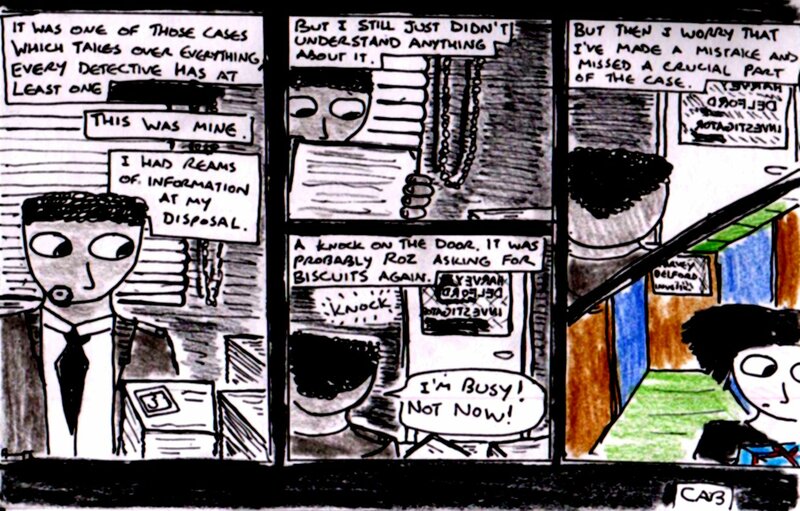 This made me think that I possibly just wasn’t cut out for writing webcomics. 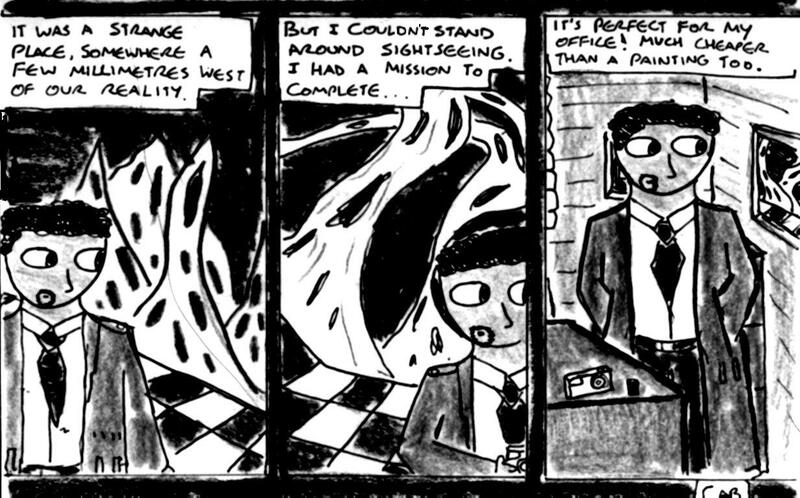 However, in 2010, I read a really brilliant fantasy/sci-fi webcomic called “Unicorn Jelly” by Jennifer Diane Reitz. This was very different to most of the webcomics I’d read before then – the art was a lot simpler and the whole webcomic told one continuous story instead of lots of induvidual jokes. Since, before I read “Unicorn Jelly”, I’d written a lot of (mostly unpublished) prose fiction, I was just more practiced writing continuous stories – the idea of writing a story-based webcomic with more simple art seemed a lot easier than writing lots of self-contained comic strips. And, a couple of weeks later, “Yametry Run” was born. 2) Read lots of other webcomics: As I kind of alluded to in the other point, it’s good to read a wide variety of webcomics when you’re starting out – so that you can see all of the different styles of webcomics which you can use in your comic. It’ll also give a good sense of what does and doesn’t work in webcomics too. Almost all webcomics are free to read, so it won’t really cost you anything to do this either (plus, it’s a lot of fun too). 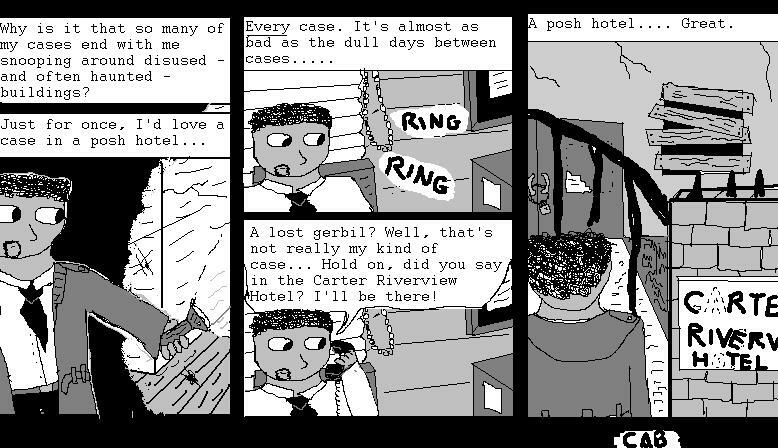 -“Questionable Content” by Jeph Jacques – this one has stand-alone joke strips, serious strips and a continous storyline too. 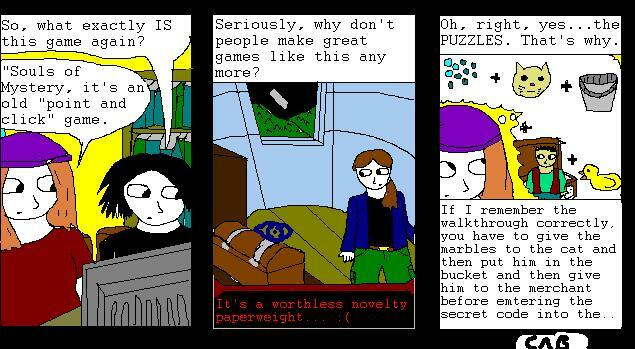 -“Problem Sleuth Adventures” by Andrew Hussie – this webcomic is very long (I haven’t even attempted to read his other comics), but it includes animations and other innovative things too. -“XKCD” by Randall Munroe – A geek culture/science-based webcomic. The art in this comic is very simple and the focus is very much on the writing. -“Unicorn Jelly” by Jennifer Diane Reitz – see the previous point on this list. -“Templar, Arizona” by Spike – this is a more serious, “graphic novel”-style cyberpunk webcomic. – “Penny Arcade” by Krahulik & Holkins and “Ctrl Alt Del” by Tim Buckley – the two most popular vidoegame-related webcomics on the internet. 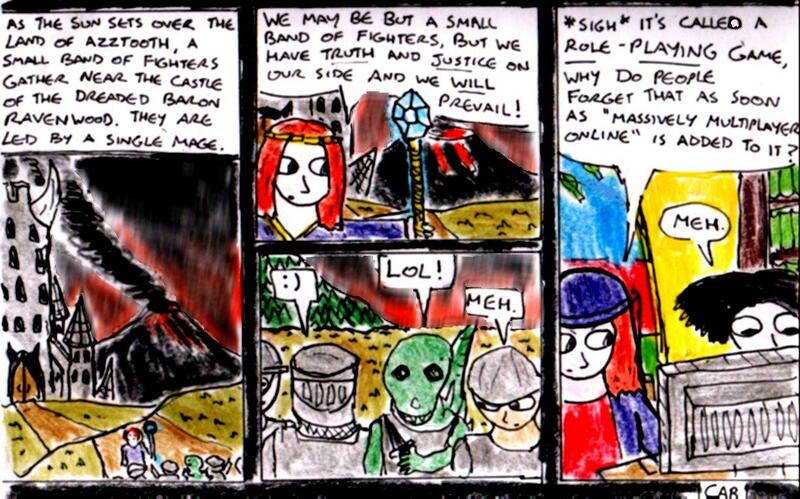 – “Looking For Group” by Ryan Sohmer – a comic fantasy webcomic by the guy who makes “Least I Could Do“. – “Saturday Morning Breakfast Cereal” by Zach Weiner – A geek culture/science-based comedy webcomic. 3) Practice: Likewise, practice your art and writing too – if you’re having trouble keeping your potential webcomic going for ten pages, then it could be that you just need to practice drawing, writing and storytelling a bit more until you feel more confident about your abilities. Although the art in webcomics isn’t as essential as the writing, it’s still important to practice your drawing too. 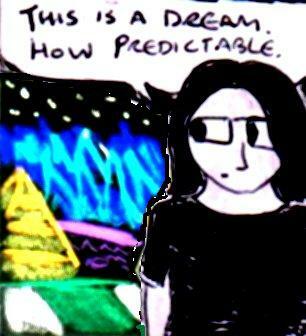 4) Find a comic idea which is something you would really want to read: This one is fairly self-explanatory. See my article about geeking out about your stories for more information. Well, I’m still taking a break from my “Stories” Comic at the moment and I felt like drawing some more “Damania” comics. 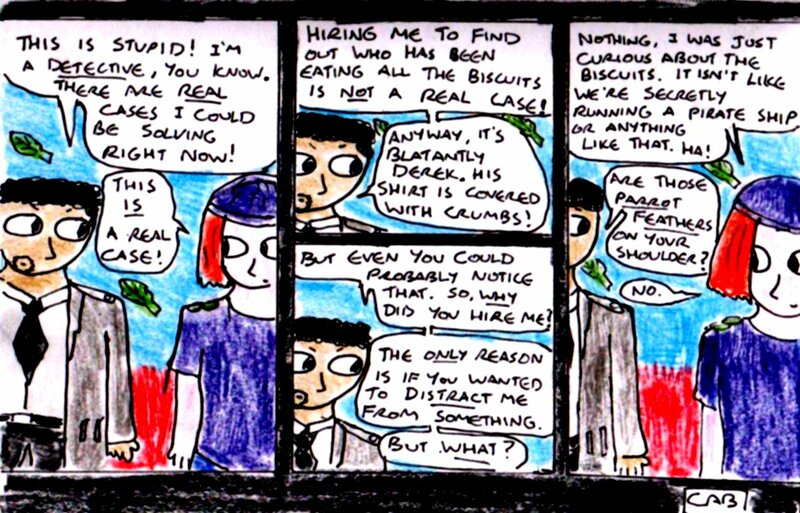 Anyway, over the past day, I made four “Damania” comics and also I tried experimenting with making an animated comic strip, which worked really well (I’ll post both animated and non-animated versions of this comic on here). All in all, I’m really proud of most of these comics [especially “Damania – Zombie Apocalypse”], although “Damania – Great Story” really didn’t work out that well. What Panel Layout Should I Use in My Webcomic? 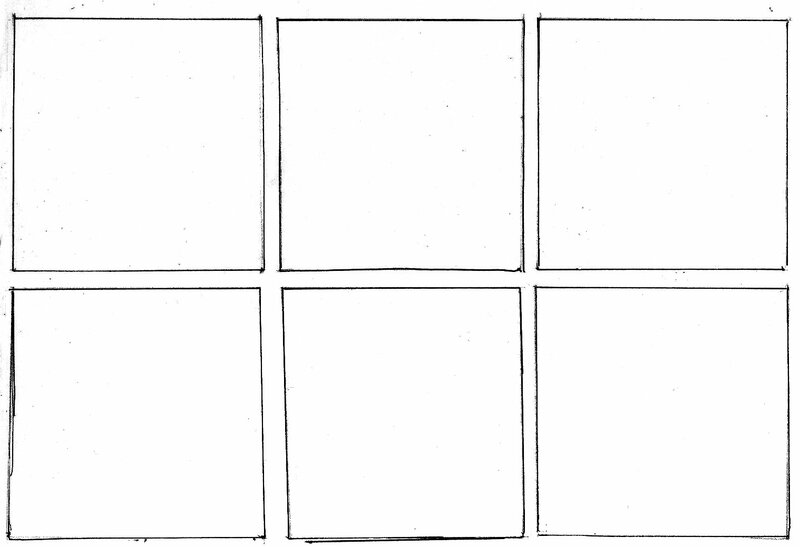 Although some of this is probably fairly obvious, I thought I’d write an article about the advantages and disadvantages of using the three main types of panel layouts which are used in webcomics. To use an American phrase, this is pretty “101-level” stuff, but it could be useful if you’re just getting into webcomics and are making your first one. These three types of panel layout are: single panel comics, comics with a fixed panel layout and comics with a variable panel layout. 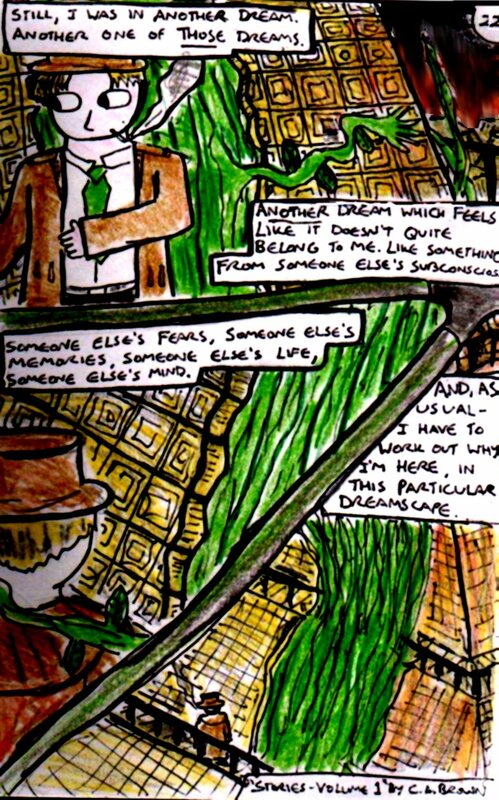 An example of a single-panel comic from my article about writing dream scenes in stories & comics. 1) Single Panel Comics: As the name suggests, these are comics/cartoons which only consist of a single panel. They tend to be fairly common in newspapers (most editorial cartoons usually fit into this category, so do Gary Larsen’s “Far Side” comics) and they’re generally best suited for comedic and satirical comics. One advantage of using this layout is that it’s a lot quicker to draw a single image than to draw three or four of them, so it can be useful for busy webcomic creators. Another useful thing about this layout is that it places more emphasis on the art, since there’s only one drawing for the reader to look at (in fact the traditional single panel comic is just a drawing with a caption [usually a line of dialogue] below it). Songle panel comics can also be read at a glance too, so they are more suitable for readers who may also be busy. However, the disadvantages of using this layout are that you have a lot less space to tell a story and your dialogue has to be fairly concise too. Likewise, if you’re writing a comedy comic, then your jokes usually have to be less complicated than they could be in a multi-panel comic (unless your panels are very large). Plus, if your art and/or writing in a single panel comic isn’t that good then it’s a lot more obvious than bad writing/artwork in a single panel of a multi-panel comic. 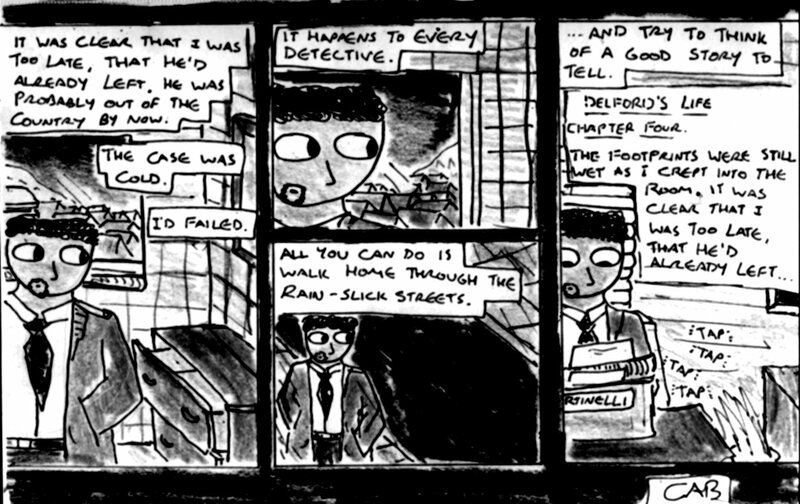 Page 94 of “Yametry Run” by C.A.Brown. This comic has a fixed 3-panel layout on most pages. 2) Fixed Panel Layout Comics: These are comics where the panel layout stays the same every day and/or in each induvidual comic. A classic example are the 3-4 panel syndicated comic strips (eg: “Garfield”, “Dilbert” etc…) which appear in most newspapers. Quite a few webcomics tend to use this format too and it generally tends to be reasonably common in comics which have a few main characters, but no real continuous story between comics. For example, soon after I started drawing “Yametry Run” back in 2010, I drew two “blank” three-panel comics (or one six-panel comic) on a sheet of paper and then photocopied it numerous times, so that all the panels would be about the same size throughout the comic. I’ll include a cropped, cleaned-up and copyright-free copy of it in this article if you want to download it to use in your own comics. An edited version of the page template I used in “Yametry Run”. Feel free to use it however you want to. An advantage of using this layout is that you don’t have to worry about coming up with a new panel layout every time that you make a comic. Likewise, for comics which end with a punchline – it can make structuring them a lot easier too. Fixed panel layouts provide a sense of regularity and familiarity for your readers (since they’re similar to newspaper comics), not to mention that they usually aren’t particularly confusing either (eg: it’s pretty obvious which order the panels should be read in). One disadvantage of using this layout is that, well, all of your comics have to be the same length – so, if you have a comic idea which is too long, then you either have to spread it over two comics or cut it down quite severely. Another disadvantage is that you have to plan your comics a lot more carefully too – this probably isn’t an issue if you do a lot of planning anyway, but if (like me) you tend to be a bit more spontaneous with your comic writing – then this can occasionally cause problems. “Stories Volume 1 – page 22” by C.A.Brown. This is an example of a comic page with a variable layout. The whole comic can be found in the “Stories comic” category on this blog. 3) Variable Panel Layout Comics: As the name suggests, this is a comic where the panels can be different sizes and there can be a different number of panels on each page. This type of layout is used in some webcomics and it’s quite commonly used in graphic novels too. The advantages of this layout is that it allows you to be more expressive in lots of different ways (eg: you can use a larger panel to emphasise things or to show a landscape etc… the only limits are your imagination) and it also allows you to vary the amount of things which happen on each page more easily too. Not to mention that you can have the occasional single-panel page too. The diasadvantages of using this layout are that you have to think a lot more about the panel layout every time that you write/draw a new comic, which can slow down the creative process slightly. Although coming up with a panel layout is something which can be done spontaneously without too much planning, it runs the risk of being confusing for your readers if it’s not immediately clear which order the panels are supposed to be read in. Which layout is best for your webcomic probably depends mostly on your comic itself and what feels best when writing and drawing it. For example, as I mentioned earlier, single-panel comics and fixed panel layout comics tend to work best in webcomics which are similar in style to newspaper comics. But variable panel layouts are a lot more expressive and more suited to storytelling in some ways. There are no absolute rules here, just go for what works – if you want to use a fixed panel layout most of the time and use a different layout on one or two pages (when it looks more dramatic or whatever), then go for it. Anyway, I hope that this has been useful. “The Wright Way” is a sitcom about the life and work of Gerald Wright, a health and safety officer for Basilricky Town Council – a very zealous health and safety officer. He lives with his daugher (Susan) and her aspiring DJ girlfriend (Victoria) after his wife left him for a much more handsome Australian man. Gerald is played by David Haig and one of his colleages, Malika, is played by Mina Anwar. Fans of 1990s BBC comedy will probably remember that they were both also in Ben Elton’s excellent “The Thin Blue Line” (and it was wonderfully nostalgic to see them both in the same sitcom again – I still remember watching “The Thin Blue Line” on VHS when I was a teeanger). Not only that, their characters are both slightly similar to the characters they played in “The Thin Blue Line” too. As a sitcom, “The Wright Way” is pretty funny – especially Gerald’s numerous cynical comments about the world, his all-consuming obsession with his job and the numerous absurd situations he finds himself in. The dialogue in this show is classic over-the-top Ben Elton sitcom dialogue and it works really well. The slapstick comedy in this show is fairly amusing too, especially when it involves anything “health and safety”-related. However, not all of the jokes in this series really work that well – the mayor’s constant Bruce Forsyth impressions get kind of annoying after a while, likewise with the “DJ”/”rapper” voice which Victoria occasionally uses (this was funny the first time I heard it – especially since it’s about the last kind of voice you expect her to use, but it gets annoying after a while). But, apart from these two running jokes, there’s a lot of rather funny moments in this show. Unfortunately, this show was apparently panned by quite a few critics – so it seems unlikely that there will be a second series of it. This is a real shame though – yes, it isn’t the best sitcom in the world (that title would probably have to go to “Red Dwarf”, “Blackadder” or “The Young Ones”), but it isn’t the worst either and it hardly deserves the sheer amount of negative reviews that it got. Basically, it’s a classic 1990s-style BBC sitcom on modern television and this is kind of a rarity (the only other recent example I can think of was the excellent new series of “Red Dwarf” which was on Dave a while back). So, enjoy it whilst it’s still on the BBC iPlayer (if you live in the UK) or wait for the DVD of it . If I had to give it a rating out of five, then it’d probably just about get a four. It’s a fairly solid, nostalgic and funny sitcom by Ben Elton. Yes, it isn’t perfect, but it isn’t terrible either.